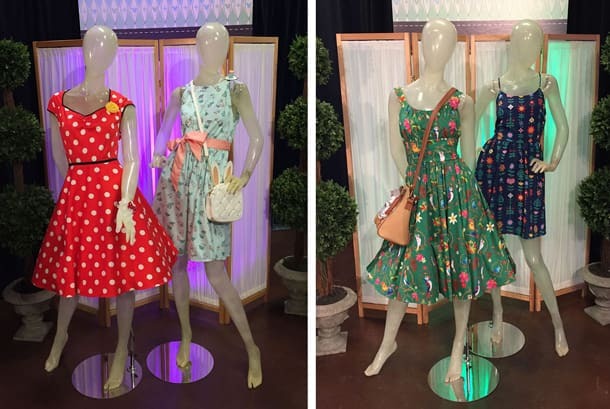 A delightful new apparel and accessories collection called The Dress Shop is coming to Walt Disney World at the end of March. Created by Disney Parks Merchandise, this whimsical collection is filled with nostalgia that fans of Disney Parks will love. I recently spoke with merchandiser Donna Sorrow about designing this new collection. In development for a little over a year, The Dress Shop collection drew inspiration from popular nostalgic design trends. 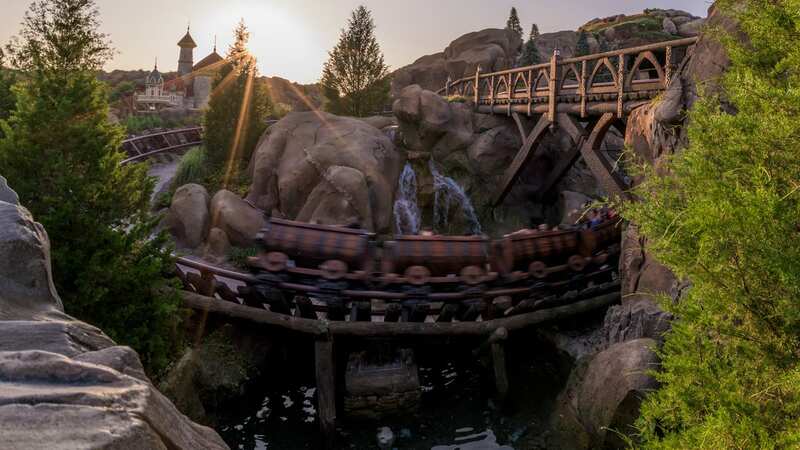 The design team also considered guest feedback about beloved Disney attractions. 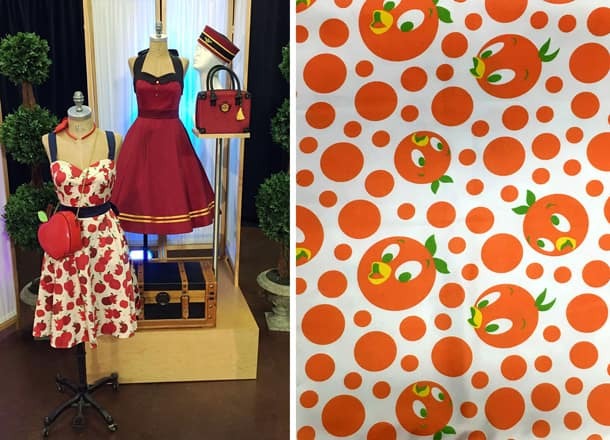 Disney Parks Blog fans may also recognize the Orange Bird dress from a sneak preview we shared last December. Matching accessories, such as handbags resembling an apple, the White Rabbit, or a Hollywood Tower Hotel suitcase, will also be released. 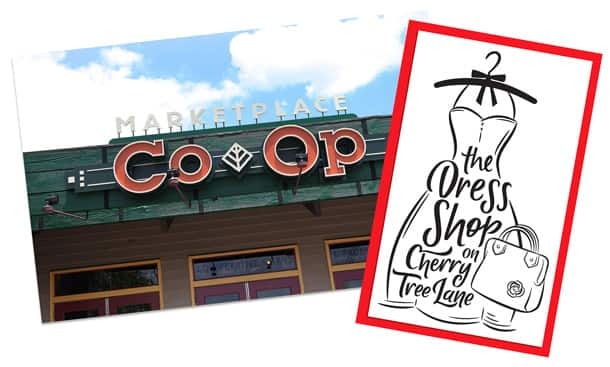 Guests can view the entire collection when The Dress Shop on Cherry Tree Lane opens inside the accessories boutique at the Marketplace Co-Op in Disney Springs on March 31. We’ll have special activities that day and throughout the weekend to celebrate the new addition including a trunk show of vintage-inspired apparel. Select items from this collection will also be released on March 31 at Vault 28 in Downtown Disney District at Disneyland Resort. There will be a limited time offering of select items from the new collection beginning mid-April in Magic Kingdom Park at Walt Disney World Resort. This collection will not be available via the Shop Disney Parks app or Disney Parks online store at time of launch. Will these dresses (the enchanted tiki room dress in particular) also be sold in Disneyland, Paris at some point? If so, any idea when? These dresses are amazing! I just got the Haunted Mansion one and I love it! However, have you noticed that the pattern of the material is upside down? You may want to work with the manufacturer to make sure they are cutting the material pieces with the design going in the right direction. I was slightly disappointed when I heard Disney was getting rid of their Couture line, but now that they have these dresses and this Dress Shop permanently: I’m okay with it! So sad people don’t dress like they use too. People would wear nice clothes on airplanes, themes parks, even the movie theatre….not anymore. We were there today and no sign of the Tiki Room or Small World Dress, the Cast Members said no word on when or even if those would ever be back in stock, just wondering if there are any plans to get those in again or were they just a one time exclusive? Does anyone have any new information of when these will be available online? Thanks! I love that Tiki Room dress so much! I just wish there was a way for people who don’t live near the parks to be able to purchase it. Come on Disney, your fans with lots of money they will happily spend on you are all over, not just right next to the parks! Why would you not make this available online!?!?!?! They told me I need the Vault these dresses would be available online. Any idea when that might happen? I’m praying to get my hands on a tower dress and I’m a size small. They only have 2X. My uncle was an imagineer on Tower, so the ride and idea behind the dress have very special meaning to me and it would truly mean the world to me. Thanks for any info at all! I love this so much I can’t stand it. However, (for religious reasons) I don’t wear clothes without atleast a moderate length cap sleeve that also goes to the knee. I hope some more designs with sleeves are in the works! Does anyone know the price for the purse shown with the Enchanted Tiki Room dress? Love both the dress & purse. I just came back from Disneyland and was so excited to find such a great selection of dresses at Vault 28! I was disappointed in the fit of the ToT dress though, as that was the one I really wanted. I ended up getting the Pirates of the Carribean dress & I absolutely love it!! Especially the skull detail at the neck. I also love that they all have pockets & you can buy the crinolines to go underneath. I’d love to have a couple of these! Most all of the dresses were $98 with the exception of the Haunted Mansion dress being $118. If you have Disney Visa you get the 10% discount when purchasing too! I love wearing dresses to WDW. I’ve found it to be the most comfortable way to roll there. Being plus size I know it’s not easy to find cute subtle disney dresses. Looking forward to these when we go this winter. Also, for my curvy friends who don’t want to wait till you get there and are worried about sizing (myself included) I’ll let you in on a secret. Torrid. Lots of cute dresses there too. Here’s to hoping that can tide us over till we all get to check out that Tiki room dress!! Do they sell the crinolines that you wear under the dresses at The Dress Shop, too? Will these be a continuing item in the Co-Op? I went today to buy one and they had nothing below a 2XL in any of the styles! I was so disappointed and the workers couldn’t tell me when they were restocking. Since you can’t buy them online it seems like a luck thing to find one that fits while you’re there. To all the other plus size gals. These dresses RUN BIG. I normally wear between a 2x-3x depending on the fit of the dress. And I believe I could probably fit into xl in the three styles I tried on. (tower of terror, tiki room, and haunted mansion) It was a bit busy… So I only tried on 3x in the tot, and the haunted mansion and I was SWIMMING in the dress. I tried the 2x in tiki, and it was just a wee bit too big. Price range is about 118 for each dress. So not totally break the bank. Hoping they get more of the tiki dress very soon in as when I went last night the 2x was the last one on the floor. Crossing my fingers that these will be available on the Disney Parks shopping app eventually!!! Please don’t make me resort to eBay. Very exciting! I can’t want to pick one up. Can you please provide a size chart? I will ask someone who lives locally to purchase a few of these for me! These are really cute. I love wearing “subtle” Disney. 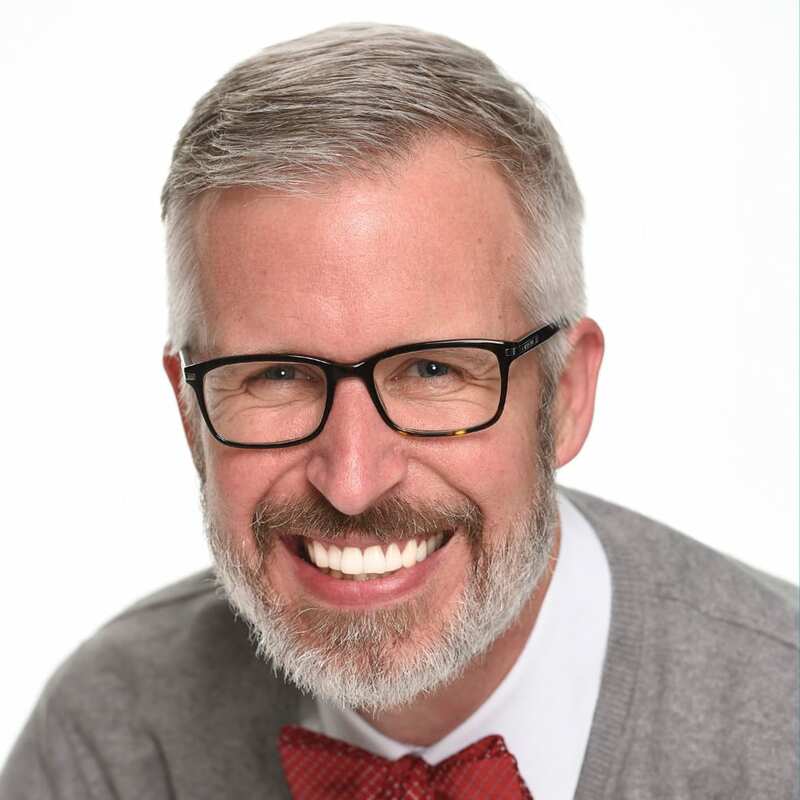 Right now I am wearing a scarf that has Mickey’s on it and no one seems to notice – but I know. I wear a 3x so things will be limited for me, but I would still check it out – if only I wear going to WDW soon :o( This is so creative and will probably be very popular since adults love Disney and sometimes wearing a huge t-shirt with Mickey Mouse on it is just not appropriate. These are amazing. Since they won’t be available online yet, what options do we have to purchase these dresses if we’re not based in Los Angeles or Orlando? Could you please post the measurements (bust, waist, hips) for the 3XL size? Sizing is so tricky these days and a 3XL in one brand may be different than another. Thank you. I’m so excited about this!!!!!!!! Please make lots of these and more styles, they are amazing! Please ask the powers-that-be to make them available online, too! I want all of them! All the dress should be available in plus sizes and beyond 3X. Disney doesn’t have enough clothing options, for plus size people. I see cute things all the time I want, but can’t buy. I’m willing to pay the extra money for them, because I know fabric is expensive. I know you said they will be available to view. Will they be available for purchase on the 31st? I might have to make a special trip (hour away) for a dress or two. Do you know the price points on these? @Stacey – The collection will be released on March 31 at the Marketplace Co-Op in Disney Springs and at Vault 28 in Downtown Disney District. Guests will be able to see all of the items in this collection on that day (since the images above don’t contain everything we will have available). I do not have confirmed retails at this time but I will update when I get that information. Oh! The OrangeBird dress is adorable. I hope it comes in the larger sizes… Bigger girls want to look cute too! Will there be any of the Mary Blair fabrics used? @Amy – The artwork for The Dress Shop collection was created by Disney Design Group artists. They do not use the fabrics inspired by the Mary Blair artwork found in the external marketplace. It is about gosh darned time! THANK YOU to the merch team for recognizing that there is an audience for this kind of thing and making it happen. @Joanna – I’m glad to hear of your excitement. I’ll share your feedback with the merchandising and art teams. Not sure why this comment didn’t clear moderation the first time but do any of these dresses have pockets? @Amanda – Yes! Select styles will have pockets (at least I know the Minnie Mouse-inspired dress will). I’m so excited for this! Will be interested to hear the prices. Adorable! Any idea of price points? Love them! Can’t wait to see them in the shop. The accessories also look cute. Will these still be available in September? Or are they limited? @Bethany – The Dress Shop collection is not considered to be limited edition. It’s difficult to say what inventory will look like in September. So happy there will be something for those of us who weigh more than 98 lbs. For those of us who can’t get to Florida will there still be a way to purchase these items? My daughter would love to have the orange bird dress. @James – At this point, the Dress Shop collection will only be available at select merchandise locations at Disney Parks. I do not have any additional details if or when they may be added to the online store or Shop Disney Parks app. Will there be plus sizes? @Stephenie – Select dress styles will be offered up to 3-XL. How high do the sizes go for these fabulous frocks? @Michelle – Dresses will have a range of sizing from XS-XL. There are some styles that will be offered up to 3-XL. This is exactly where Disney fashion needed to go! Tired of gray t-shirts. Can’t wait to snap these up! What sizes will the dresses be carried in? @Gail – Dress sizes will include XS-XL. Select dress styles may be offered up to 3-XL. Here’s hoping these will be available in real sizes and not just tiny ones. @Nicole – Sizing will vary from XS-XL with select dress styles offered up to 3-XL. These are made for twirling down Main St., U.S.A. A little shopping trip will be in order during our June family reunion!